NewUI Lab. (en) macOS app. | NewUI Games – NewUi Lab. NewUI Lab. (en) macOS app. « Picture Calendar » is a daily calendar who shows the day of the week the date and the month like old-school french daily paper calendars. Like the french tear-off calendar, this app show the day of the week and the month in red on a white background. It will also randomly slideshow high quality landscape, animal, texture, architecture, photos. 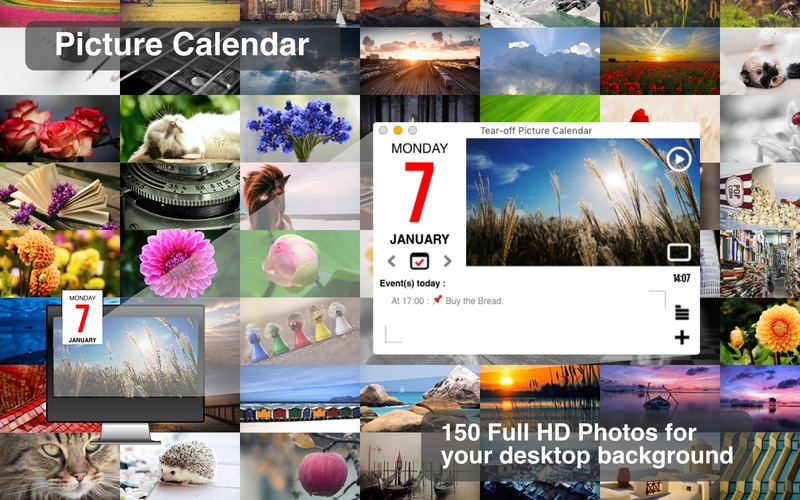 150 Full HD photos for your desktop background instantly assigned with one clic. 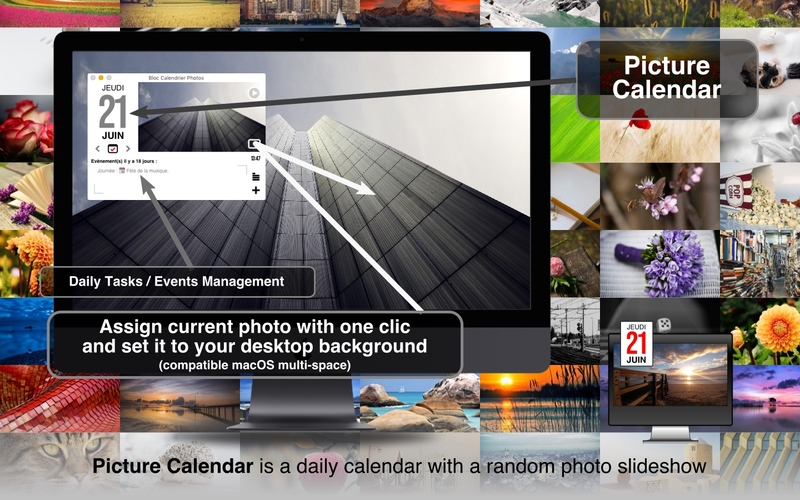 – 1 essential daily Calendar. – 150 photos randomly slide shown (can be used as desktop background). download on the app. Store.